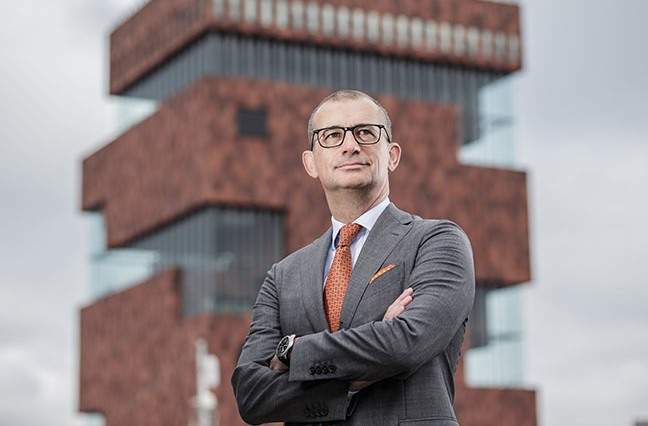 Pedro Matthynssens, CEO of Vanbreda Risk & Benefits, offers history and culture in his hometown. In the first half of the 16th century, Antwerp was the richest city in Europe and the center of the global economy, accounting for 40% of world trade. It was a cosmopolitan city inhabited by merchants and traders from Portugal, Spain, Italy, England and Germany. Even the English government borrowed money from financiers in Antwerp between 1544 and 1574. Antwerp’s Central Station, Antwerpen-Centraal, the world’s most beautiful rail station, makes Antwerp a central location. It’s a one-hour train ride from Amsterdam, two hours from Paris and three hours from London. The railway station features four separate levels of trains and a public bar with gold leaf and mirrors. Antwerp has a world-class dining scene with just short of 100 restaurants mentioned in the 2018 Michelin Guide. In the summer, the city has a lot of pop-up bars and restaurants along the River Scheldt, including some of the center city’s best restaurants, such as Radis Noir. My favorite new restaurant is Restaurant K, a Japanese bistro with a Mediterranean twist. What I especially like about it is that this restaurant is located in the residential complex of Axel Vervoordt, Kanaal, where I live. My very favorite restaurant is the Michelin-star ’t Zilte. It occupies the ninth floor of the Museum aan de Stroom (MAS) and has a 360-degrere view of all the landmarks of Antwerp. I celebrated my 50th birthday with friends and family in their private dining room. In Antwerp’s city brewery, De Koninck, you can walk through the active brewery and partake in a delicious beer tasting afterwards. I would recommend Hotel Matelote, a boutique hotel with nine rooms in the old city center. Occupying a renovated 16th-century brick house on a tiny lane steps from the medieval Grote Markt, the intimate Matelote has nine individually designed rooms with Belgian contemporary art. Do pay a visit to the newest museum in Antwerp, DIVA Museum. It is the home of diamonds in the diamond capital of the world.